Disclosure: I was sent this book for review on NetGalley. As always, my reviews are fair and unbiased. First Thoughts Since Renegades isn't quite out yet and I have a lot of friends and PLM Readers who haven't read it yet, I'll make this review spoiler-free! Back on to my first thoughts...I'm totally guilty of owning the Cinder series from Marissa and not read it yet. I have read parts of her writing over the years from excerpts and book previews, and know that she's regarded very highly in the YA world. So, I have high expectations! Review I love a good superhero TV show or movie, but they are extremely hard to get right in literature (not including comics). But when I started reading Renegades, it had some of the best story-building and I loved that it had a ton of diversity (something Bloggers have been pleading for writers to actually write about and make them Mains). I got a ton of Superhero vibes from the characters that reminded me of some Marvel vigilantes and heroes we see on the big screen, and in Renegades, the powers and abilities are dynamic and sheer-brilliant. Nova has a striking, affecting voice and her motivation for retribution made for great storytelling. When Adrian was introduced, who is a Renegade, he doesn't want revenge, but justice. The secondary characters are also winning in their own league, but for me, I really liked Nova the best. The characters personalities clash because of their overall motivations (just as apposing heroes/villains do) but the action is the best part toward the end of the book when the story really speeds and we can get a sense of where the next book will pick up and continue the epic tale. 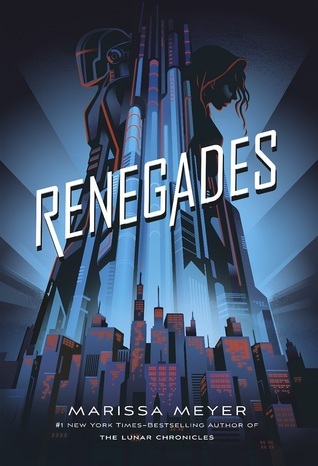 I was hoping that the action would pick up a tiny bit sooner, just because I like it to around the middle of the book, but I understand that a lot of world-building was needed to get a sense of what Renegades is all about. Overall, I loved Renegades. The suspense, diversity, strong female presence and unique theme (I haven't read a book like this ever) made for a sparkling and spectacular weekend read for me. If you're a superhero fan and you've loved Marissa's previous writing, I think you're hugely going to love what Renegades has to offer. 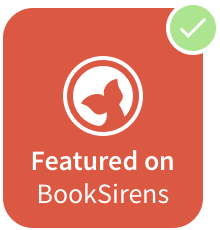 Rating & Recs For fans of YA Fantasy and the Cinder series. What did you think? Let me know in the comments or on twitter @LittleMemoirs! happy reading!